Last week we got our first look at Chucky from the reboot of Child’s Play and it hasn’t gone down well amongst horror fans. 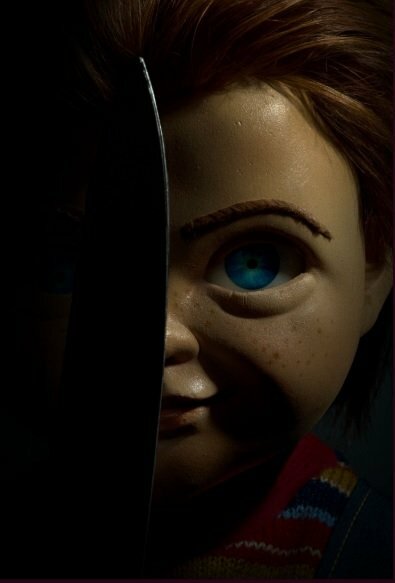 First of all, there’s the obvious heresy of Chucky not being voiced by Brad Dourif, while there’s also the fact that co-creator Don Mancini isn’t involved and last but not least, there’s already an ongoing Child’s Play saga still in development that follows a long (and awesome) continuity. But that was all theoretical until MGM released the first image of their new hi-tech Chucky for the reboot, and I’m going to agree with the vast majority of fans that it looks pretty damn dumb. Horror fans began to weigh in on this new Chucky as well, asking what the point of the reboot is, demanding Brad Dourif do the voice, claiming he looks like Pinocchio and sharing all manner of reaction gifs you’ve come to expect from Twitter. Not sure how I feel about the #ChildsPlay reboot. Nobody can do it like Brad Dourif. Is brad dourif still the voice? Cause that chucky looks silly! Yeah Halloween with real people. They got the new chucky looking dumbasl like that. No Brad Dourif, no viewing from me. It's gonna be Solo all over again with someone trying to act like another actor. I don’t want to be a negative Nellie, but I’m far from convinced that there’s any point to this reboot of Child’s Play. Worst of all, it might put the brakes on Child’s Play on Elm Street, a long-rumored crossover film in which Freddy Krueger and Chucky have a contest to see who can kill the most teenagers before the sun comes up. With Robert Englund recently stepping back into the role for a cameo on The Goldbergs, it’s possible we could’ve seen him take up the part once more on the big screen. Oh well, at least Chucky’s awesome cameo in Ready Player One did him justice.